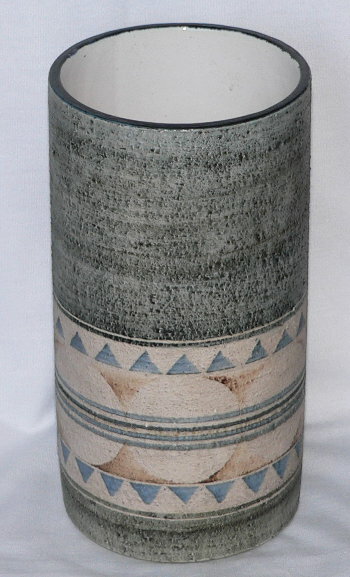 Medium sized Troika Cylinder vase decorated by Avril Bennet. This large Troika vase stands approximately 19cm tall and measures 10cm in diameter. It has been decorated with a green wash colour with the roundel decoration picked out in creams, browns and blues. 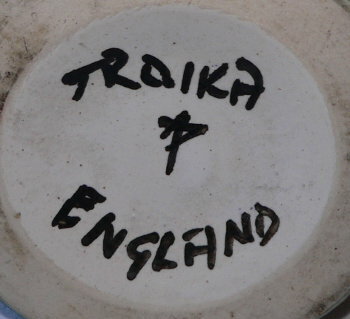 On its base this Troika vase has the black painted Troika Pottery mark, Troika England, and the decorator mark of Avril Bennet. 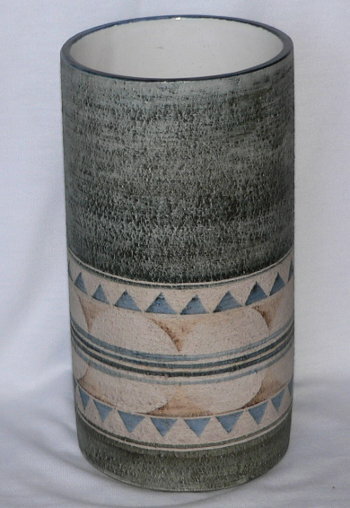 This Troika vase dates to c1973-1979 and is a genuine Troika Pottery vase. Condition: Excellent overall condition. A lovely Troika vase.